Al Abrams is the legendary non-conforming and youthful press agent who represented two major record labels and other notable entertainers and artistic personalities during a music revolution that forever changed global dance floors. Crossover music became a civil rights movement toward diversity. Teenagers defied decades of black and white lines that separated people. Colorful dance floor attire made fashion statements as skin tone separations faded while the music played. Abrams was eighteen-years-old when he arrived at Motown Records. H&S is must-have for every music book collector’s shelf. It is a glossy hard-cover coffee table book published in 2011. Only one collector H&S edition available. Selling my Soul is a limited collectible paperback book that introduces press releases, media, stories and photographs that punctuates the importance of Motown and Stax. 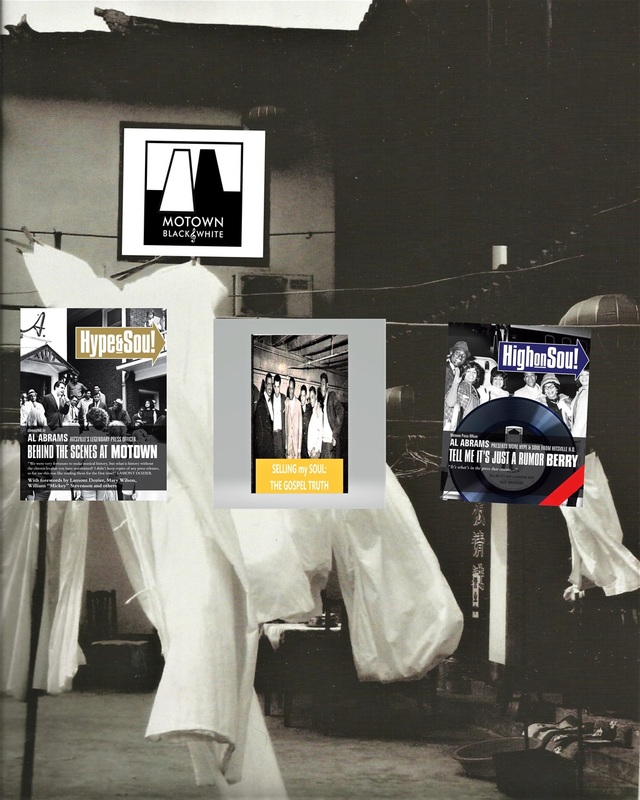 This book is accompanied by a signed book mark and beautiful Motown photograph suitable for framing. This book is now available for pre-order. Free shipping within the Continental USA. HIGHonSOUL is a limited collectible glossy hard-cover coffee table book to be published late 2019. More information to be posted.